Congrats, your neighborhood/organization has made it to the next step in the TreesCharlotte NeighborWoods process. Now, we need you to go through our formal application process. Once you’ve submitted all elements, TreesCharlotte staff will review and contact you. What is the name of your neighborhood, school or organization? What is your organization’s address (please include zip code)? If you’re applying on behalf of a neighborhood, please describe your neighborhood boundaries. Please provide a second point of contact - name, telephone number, email address. Please provide date, time and address of any upcoming board and/or neighborhood meetings that TreesCharlotte staff could attend to promote the event and answer questions. Please describe the type of meeting. Send us a letter from your HOA, board of directors or other governing body indicating its support for your requested project. Please explain how a NeighborWoods tree event would make a difference in your neighborhood/school/organization and what you hope to accomplish. If you’re applying to host a TreeStore, where TreesCharlotte will bring trees for residents to plant in their yards, we ask that you gauge your neighbors’ interest through a TreeStore Participant Interest Survey. You can conduct this survey through a Google form or by paper (see links to both below this form). 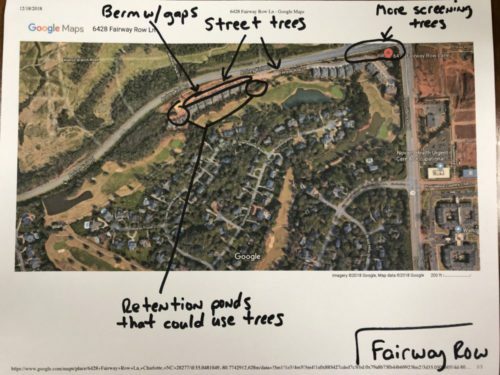 This survey simply shows TreesCharlotte there is broad interest (at least 15 trees to be given out); it does not commit neighbors to taking a tree at this point. We suggest that you circulate and promote your interest survey for 2-3 weeks and then submit your results via this form. We ask that applicants interested in the 2019-20 planting season submit all elements of this formal application process by May 1. Questions: Jen Rothacker at jen@treescharlotte.org or 704-574-9080.